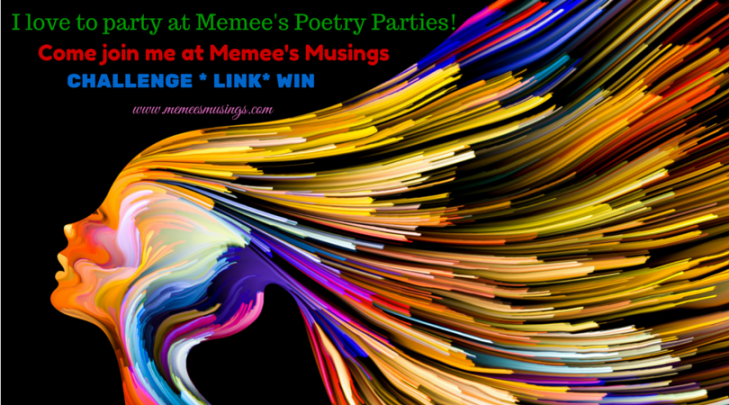 I’m taking part in Memee’s Poetry Parties challenge which is up in the middle of every month. If you enjoy reading, writing poetry as much as I do, please join me at Memee’s Poetry Parties current theme — Vengeance. Or don’t edit, it is your poem! Jes is right though, it does have a wonderful rhythm. I hope you enjoyed the challenge! Here is the link to your participation badge. Resize and use however you like. You did a fantastic job and I hope you’ll continue to participate. Oh I didn’t receive the link of the badge though, could you resend it please? Wonderful rhythm. Almost every line has 7 or 8 syllables, except the second last line. Can you edit a little to make it conform?